Welcome to a PESTRID, and as the name says we do the job, what ever the pest you need rid of. We pride ourselves on our customer service and knowledge of all aspects of pest management and are committed to proving ourselves the leading company in the Gold Coast/Tweed Region. Shane Crilly has specialized in Termite Inspections and Treatments, having 15 years experience, working for two major companies and now his own. Shane conducts most of the Termite Inspections and Termite Treatments. He carries out a thorough inspection using the latest detection equipment available, a Termatrac – micowave movement detection machine, Bug-eye Technoscope – camera which enables inspection of suspect wall cavities and the Tramex Moisture Meter for locating active termite areas. Mark Randle carries out the majority of general pest treatments. 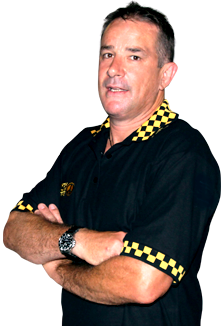 Mark has 9 years experience specializing in Commercial/Domestic Pest Management. A thorough treatment is guaranteed with our methods used, with complete risk assessment carried out prior to any treatment, and for commercial premises a folder is left on site detailing what has been done along with all safety data information on chemicals used at the site. We only use the proven and safest chemicals with no concerns for the client.. For all external sprays we use Biflex Ultra (Bifenthrin) and internally we use Cislin (Deltamethrin). Where food stuffs are stored or prepared we use Maxforce Cockroach Gel along with a crack and crevice treatment using Dragnet (Permethrin) Dust and Ant baits are left for spot baiting if required. For rodents we use Talon Wax Blocks (Brodifacoum), which are supplied contained in locked tamper and waterproof stations. MSDS pdf files on the above chemicals are available on our website and also more information about our treatments and termite baiting systems. Covering Gold coast and Tweed areas for all pest control and termite protection.